Sculpting Ocean’s Beauty Into Glass! 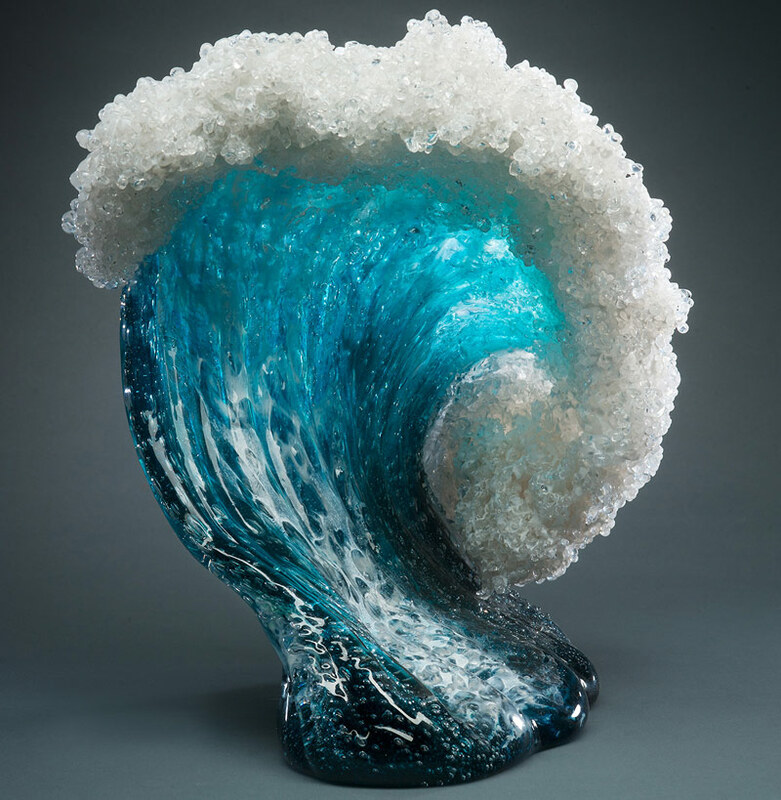 In what may be called a wonderful amalgamation of art and beauty, Marsha Blaker and Paul DeSomma, a California-based couple has made a stunning series of glass sculpture that captures the splendor of ocean. Every piece in the series has taken cues from ocean and has captured the changing moods of its waves. The artists have depicted precision while capturing the beauty of ocean and its lashing waves. 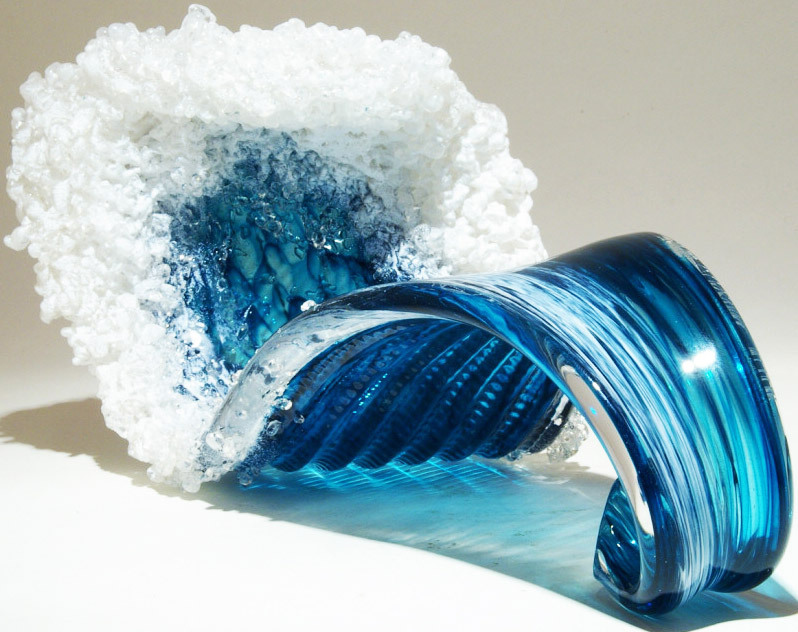 The glass and ceramic artworks looks magnificent and depicts waves in all their glory. All the intricacies of ocean have been captured to perfection and the finer nuances of the art have been highlighted with ceramics and glass. The magical world of creativity seems to breach all the boundaries narrating ocean’s tale. While Marsha’s work carries the intricacies of the marine world and weaves a perfect tapestry of imagination where emphasis is on the various colours and the textures of nature, Paul prefers to be minimalist and loves freehand solid glass sculpting and likes to play with the clarity and forms.